Have a boat race with friends or leisurely cruise around the pool on lazy summer days with the 2-Person capacity Intex Explorer 200. 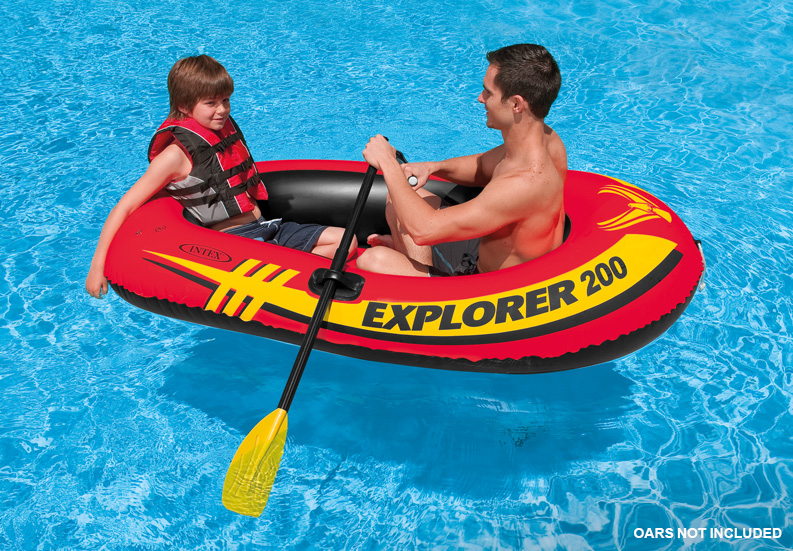 This super bright boat features a grab rope on the bow, oar locks and a soft inflatable floor for easy cruising. This is the ultimate boat to EXPLORE unknown worlds.